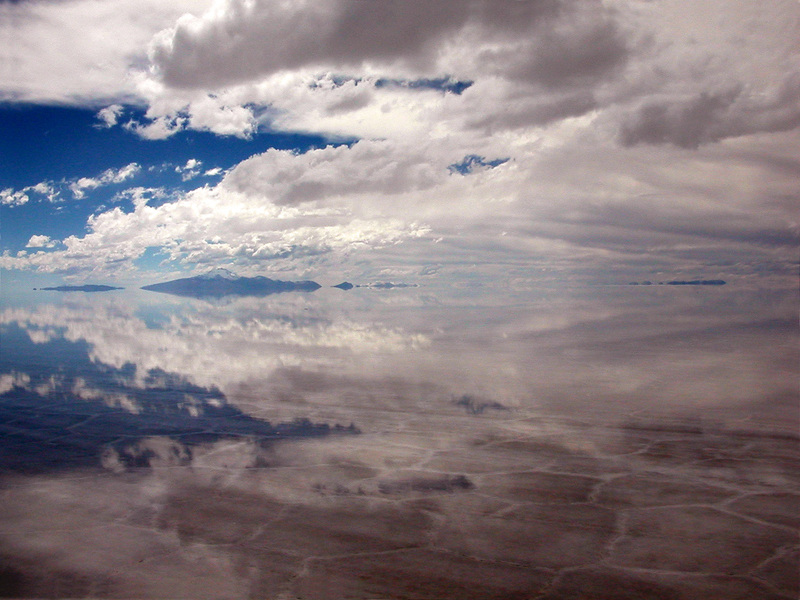 The world’s largest salt flat, Salar de Uyuni, is located in Southwest Bolivia. 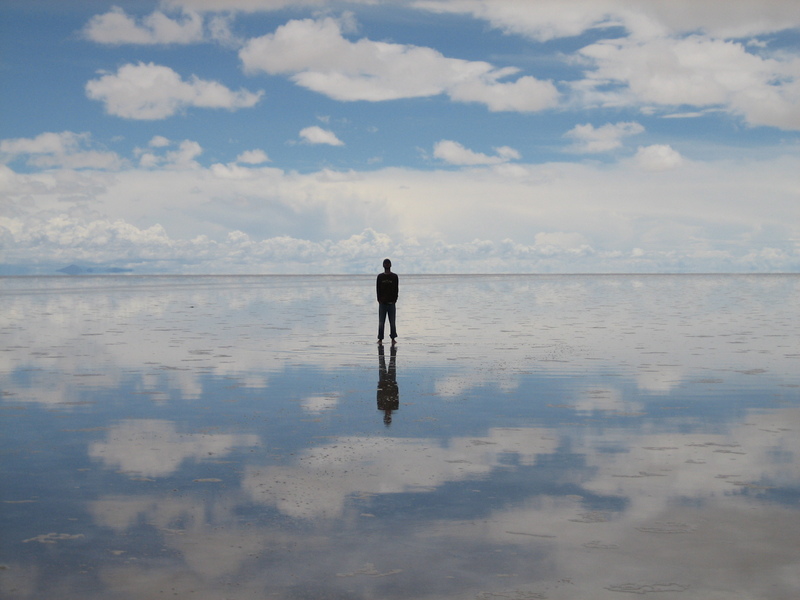 At 10,582 square kilometers (4,085 square miles), the Salar de Uyuni becomes the world’s largest mirror when covered in water. If this fascinating phenomenon alone wasn’t enough to entice tourists to visit, there is also an antique train cemetery in the area, 3km outside the town of Uyuni. Because the Salar de Uyuni is so flat, NASA is able to utilize it to calibrate some of their satellites. While the Salar de Uyuni itself is devoid of wildlife, it is used as the breeding grounds for some species of pink South American flamingos once a year in November. There are hotels for tourists nearby and they are almost all built out of salt blocks, including the furniture. what if we filled the flats with tequila? the world’s largest margarita? When is the time for the lake a little bit of water not all dry? 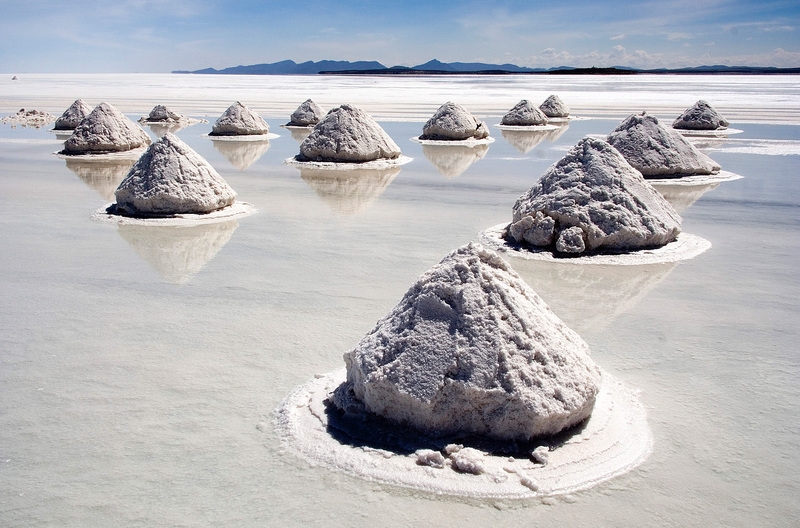 We re planning a trip to Bolivia from Turkey , I couldn’t find more information about this lake. I live on salal.below,hidden,is 2 meter deep phytoplankton.something mentioned in 4000 BC.